Many gardeners choose themes during the planning season as a foundation for choosing a group of plants suited to an entire yard or part of a yard. Garden theme trends extend as far as the imagination allows. In terms of food needs, while a small portion of their diet consists of insects, hummingbirds are best known as birds that feed on flower nectar. Attracting hummingbirds to the yard can be as easy as hanging up a bright red feeder filled with a clean sugar and water solution. 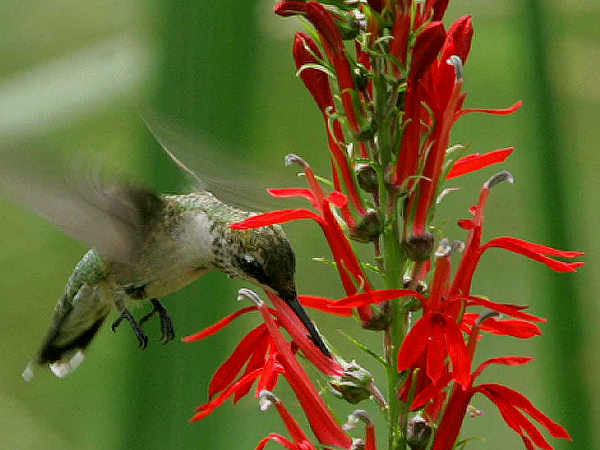 A yard filled with a hummingbirds favorite red flower(s) can also be irresistible. Here’s some quick suggestions. Keeping hummingbirds in the yard throughout the season means choosing hummingbird plants that bloom from spring through fall, the traditional hummingbird season in most areas. For example, native western hummingbird populations tend to time their spring and fall migrations to match the availability of food sources. Native western plants such as Bleeding Heart, Claret Cup Cactus, Indian Plum and Red-flowering Current, pictured, bloom from early to late spring and have been tested as tried and true hummingbird favorites. 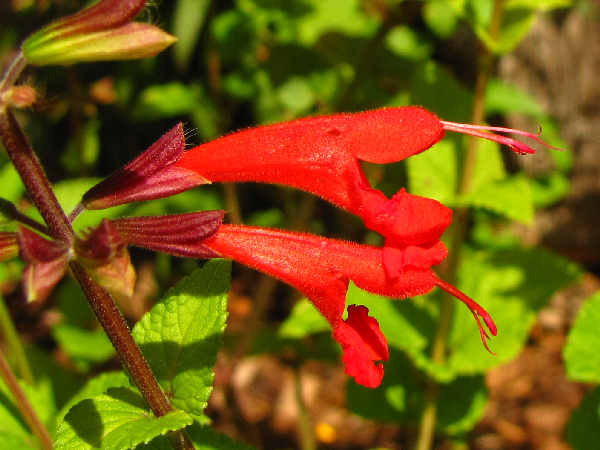 Sage, (Salvia) a small, native flowering shrubs, produce brilliant red flowers inviting to many hummingbirds and butterflies. Suited for both arid and humid southern climates a variety of sage species thrives in sunny areas in USDA zones 5-10. In areas within close proximity to zone 5, some sage plants can be adapted to growing in a large container on a sunny patio. Depending on the species, sage plants can grow up to three feet tall and wide, requiring a suitably large container. Given the toxicity associated with most buttercup species, they tend not to rank as the most common or popular garden flowers. Columbine as garden flowers (genus Aquilegia) represents the general exception to the rule. They are perennial wildflowers with a continental range, and part of their charm rests with the fact they often grow low to the ground and in bunches. In the wild, they grow in partially shaded areas, making them perfect wildflowers for out of the way rock gardens in the corner of a yard. 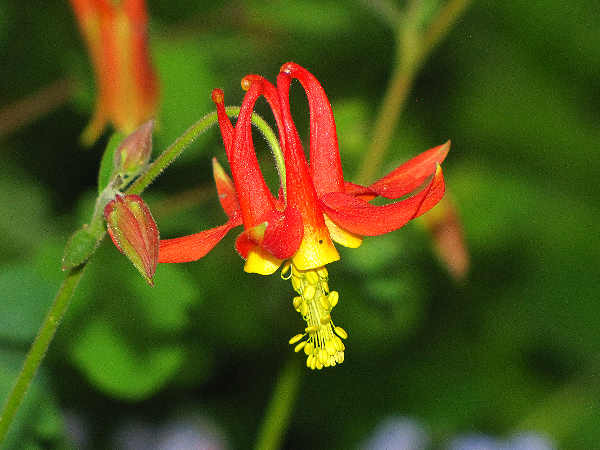 Hummingbirds and butterflies are attracted to many columbine varieties, adding to their popularity as garden flowers. Cardinal Flowers (Lobelia cardinalis) are very common herbaceous perennials in areas east of the Rocky Mountains. 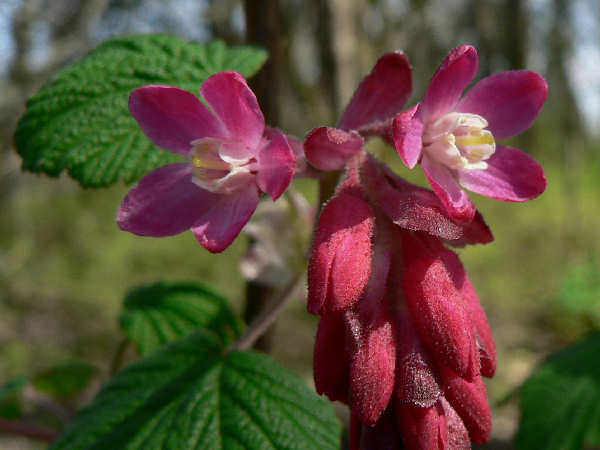 These medium sized plants with vivid red flowers are as hard to miss in the wild as they are in the garden. They thrive in full sun to partial shade in wetlands areas. Look for them in the wild near streams and wooded areas. In the garden they are hummingbird magnets. Experts often suggest red flowers as the go to hummingbird flowers. 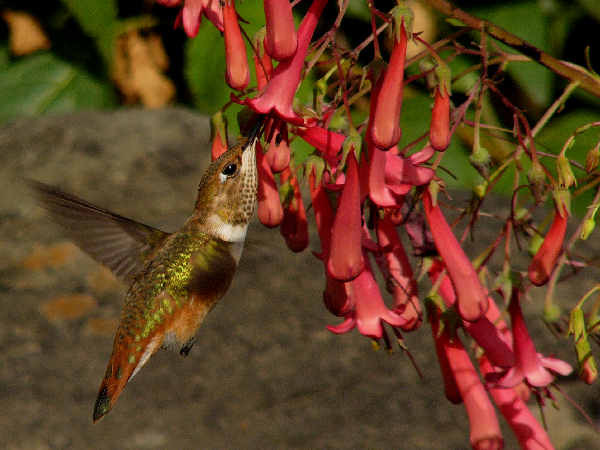 Other flowering plants also attract hummingbirds along with brightening up any landscape. A stroll past any group of lilac bushes provides an easy answer to their popularity. The look and scent of lilac pleases just about everyone’s sense of style and scent. Lilacs come in a variety of colors, however, none of them are native North American species. 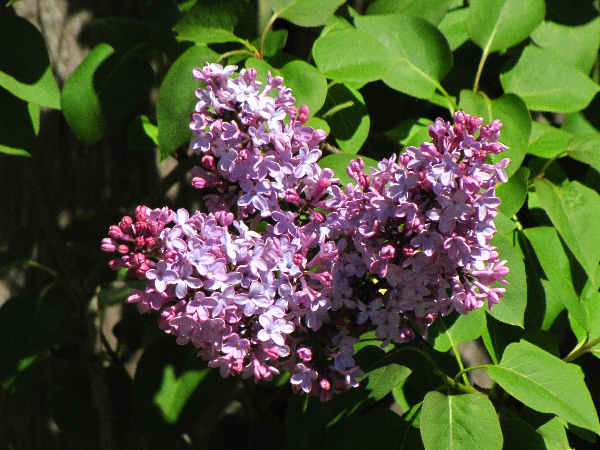 The Common lilac (Syringa vulgaris), from Europe, is the most widespread introduced species, growing wild in most of the northern portions of the country. Asian species are increasing in popularity, providing consumers with additional color and fragrance choices. Hummingbirds can often found hovering around the lilac beginning with the late spring blooms. Many lilac varieties can bloom throughout the summer, keeping any visiting hummingbird happy and fed throughout the season. The striking orange flowers of the Spotted Jewelweed (Impatiens capensis) tell half of the plant’s story. It is a showy flowering plant, found near ponds and other wetlands across much of the United States, except for the Southwest. Look, but do not touch, often explains the other half of the plant’s story, because it is also called a touch-me-not flower. The plant’s seed pods pop whenever they are approached by humans, animals or birds. 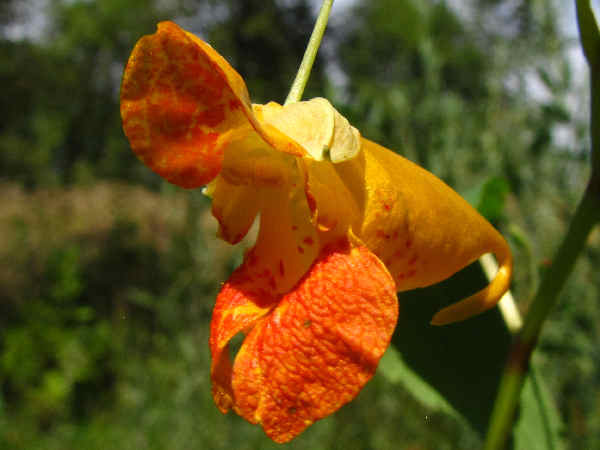 Jewelweed is also celebrated as a natural treatment for skin rashes caused by poison ivy and mosquito bites. There is not much scientific literature to support the claims, however, breaking open a stem and spreading the juice on a bite or rash will not exacerbate the problem. Regardless of the plant’s medicinal value, it is still a fun and fine looking flowering plant. It also attracts hummingbirds.